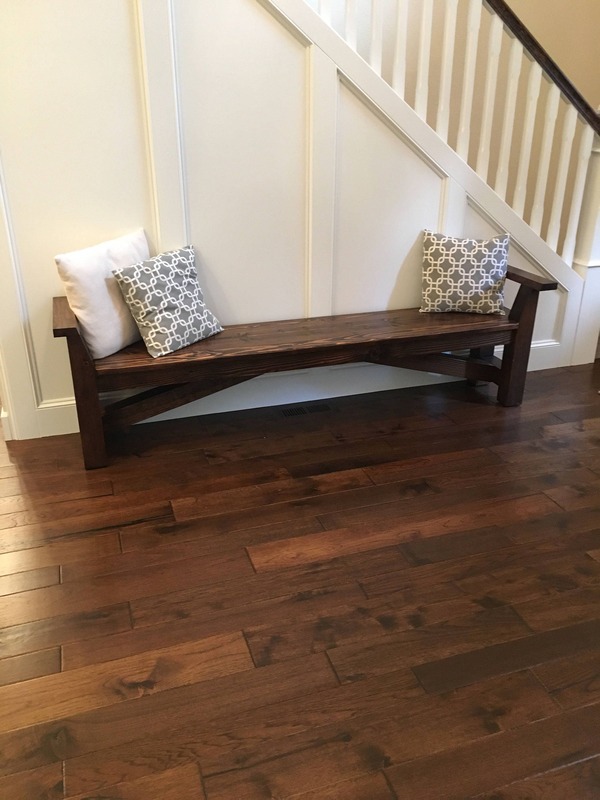 Handcrafted entryway bench made to order. Made from sustainable Northwest lumber, this bench has contemporary good looks, yet will never go out of style. Built with extra-heavy lumber, it will last for generations. The bench pictured is the 7 foot option, 2 feet tall, and 15 inches deep. Also available in 4 foot and 5-1/2 foot lengths. Custom finish available. Shown in Minwax Dark Walnut with Satin Finish.